We need to have a serious talk. This is kind of a big deal. I always get a ton of hate (and interestingly love) mail whenever I broach the topic of copyrights, trademarks, and brand names but it’s time to address it again. Today I am not going to be talking about First Sale Doctrine or how to register a trademark. I’m not going to talk about whether or not current laws are “fair”. I’m going to tell you to why you are absolutely destroying your own brand when you use copyrighted or trademarked content to advertise yourself. A recent example I came across was an individual frustrated she got busted for using Lush as a tag on her Etsy shop. For those of you who are not familiar with Lush, it is an absolutely amazing natural bath and body company headquartered in England. I am obsessed with Lush. They have built a veritable empire of bath bombs, natural make up, and shower jellies. They are an industry standard. If you are reading this article, you are likely NOT the owner of Lush. You are also not likely to be the owner of Yankee Candle. You are definitely not Disney. You are a small, independent business person just trying to make a mark in the world. Sometimes it can seem like an easy option to garner some visibility online. 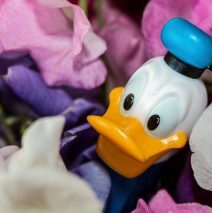 Simply by including words like Disney, Lush, or LulaRoe your views can seemingly skyrocket. But here’s the thing: You are riding on the coattails of someone else’s work. You are automatically recognizing your own brand as a knockoff and you are lowering the perceived quality of what you offer. You aren’t Lush, but maybe you are a cheaper alternative! You are telling the world your brand is not “as good” but “close enough”. Own your brand! Trumpet it with pride! Build up your own following, your own fans, and your own company values. Do not illegally appropriate the name of another company and then feel bad when bad things happen. You might get a lawsuit. You might get customer complaints. You might not get anything at all but you certainly won’t be building your own empire. You started creating for a reason. Share that reason with the world and the rest will (hopefully) follow. So – if I make a cushion using a cath Kidston fabrics I should not use the words ‘Cath Kidston’ in the tags isnthat right? When purchasing fabrics, you should always check to see if you are purchasing them for personal or commercial use. For most licensed fabrics available on the market, they are only licensed for personal use only. When in doubt I recommend consulting with a small business attorney. Sorry about the odd formatting at the end of the question. My phone was fighting with the page! I don’t know about the others, but Swarovski has some pretty clear guidelines about how you can and can’t use their name. You should check it out if you sell those items but essentially you can identify components as being authentic Swarovski, but you can’t use their brand name to identify your product. For example, if I handcrafted a necklace, I could inform the buyer that the necklace contained genuine Swarovski crystals but I couldn’t call the necklace a Swarovski necklace. You are so right. With people tmarking everyday phrases a shop owner can easily get hit. So don’t give them an easy strike. I got hit with an everyday phrase that was tmarked two weeks prior. I checked it when I listed it and it was clear…but two weeks later, bam. I was pretty upset cause I do try to avoid these issues. I emailed back and forth with etsy legal. I opened a shop on another site thinking it would give me backup. Then I decided to turn a negative to a positive and create items that are unique to me. My fiber art is the direction the shop is going– and its something no one can tmark, copyright or steal from me.